GREAT WINS RUNNER UP BEST EXHIBIT IN GROUP AND TWO JUNIOR IN SHOWS IN ONE WEEKEND 1/8/2010 - JUST INTO JUNIOR CLASS. *WINNER OF MINOR - PUPPY - JUNIOR IN SHOW AWARDS ALONG THE WAY"
Thank you Debbie and Steve for taking this little man on board -have lots of fun with him. "Ringer" has been named after a beautiful painting by Pieter Zaadtra of Zaadstra Art Studio in Tasmania. Pieter and Tanya kindly gave me permission to use the name of this lovely painting for "Ringer". Pieter is well known for his art work in the beautiful book "Our Australian Kelpie" In 1990 Pieter came across the renown ‘Elfin’ Kelpie breeder, Tim Austin, at the Eagle-on-the-Hill petrol pump-they talked about doing a ‘coffee-table’ style book about the "Elfin" famous dogs. So, during the 18 months of 1990 and 1991 Pieter followed the Kelpie dogs at Tim Austin's home in the Western Districts of Victoria, Meningie in South Australia and Adelaide. 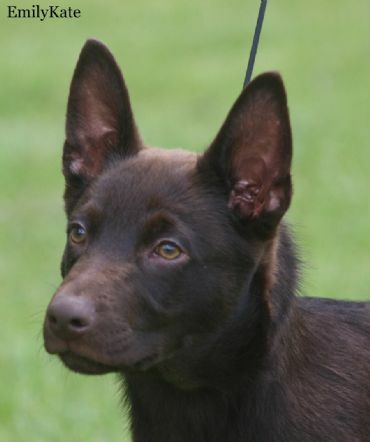 The book called ‘Our Australian Kelpie’ resulted and it was launched at the Adelaide Royal Agricultural Show from where it was sold to considerable acclaim. Today no more copies are for sale and no reprints are planned. Pieter has Launched the book on his web site which keeps alive a fantastic story. Please go to Pieter and Tanya's web site to see Kelpie paintings, books and other information on the Kelpie. Pieter and Tanya now have an interest in the little guy called "Ringer". 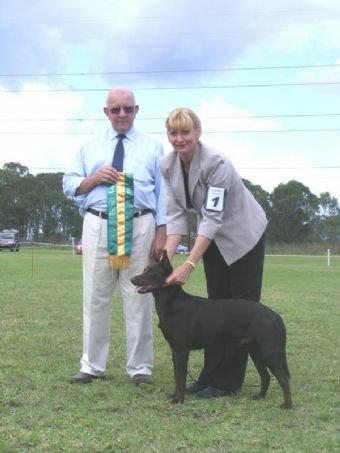 "Ringer" is exceptionally well bred his mother being the youngest winning Kelpie in Australia winning her first BIS All Breeds at the tender age 9 months and going on to be a multi BIS All Breeds winner also attaining her Grand Championship Title. The father of "Ringer" is a multi Royal Challenge BOB winner. 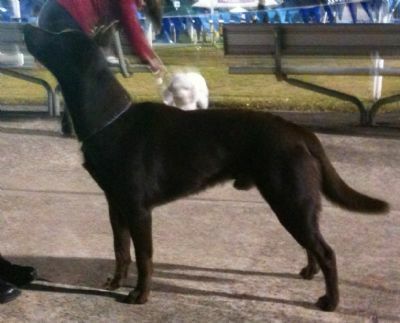 Runner Up Best In Group Adelaide Royal & BAWD in Show.